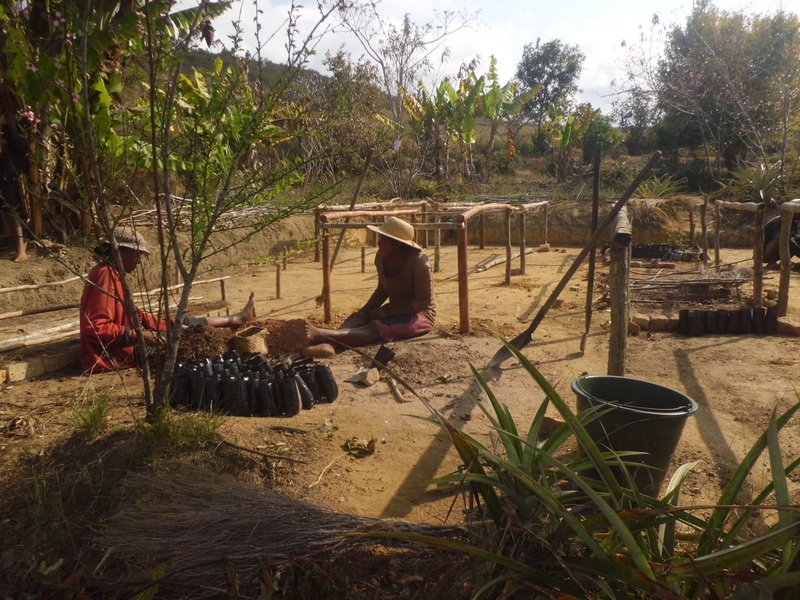 Madagascar has the highest rate of topsoil loss in the world. The island was once covered with rainforest, but slash-and-burn farming (cutting and burning forest to make a field, using up the nutrients in the soil, then repeating the process elsewhere) plus commercial exploitation of the rainforest, has led to massive erosion. This has exposed the laterite soil all over the island which bleeds into the sea, which is why Madagascar is now called the "Red Island". The soil that remains is poor, lacking humus, magnesium and phosphorous. The climate is also hugely unpredictable. In 2017 Cyclone Enawo devastated the island with winds of up to 270 kilometres per hour. For the growing number of subsistence farmers who use the most basic agricultural techniques (few even use hand ploughs) and have almost no access to seeds, fertilizers, or markets, the challenges are huge. Combine all this with a fast-growing population and food security is a major problem. In 2017 both national rice and maize production were below the 5-year average, and the main rice producing region had the lowest annual production ever recorded. The net effect of this is not just poverty, but widespread malnutrition and even starvation. We support agriculture at every stage - access to land and tenure, training, sourcing seeds, improving irrigation and crop management, storing and selling harvests. We also try hard to diversify crops and promote sustainability, integrating the immediate needs of the harvest with the longer term needs of people and the environment. ​We help communities move from traditional field rice to sustainable livelihoods paddy rice production, expand agroforestry along forest corridors and promote new foods like yams and cash crops like ginger, essential oils and vanilla. Agroforestry is the key to a sustainable future, encouraging a virtuous circle of improved food security and business development through crop diversification, forest restoration and sustainable stewardship.It is the reverse of the vicious circle of slash-and-burn. 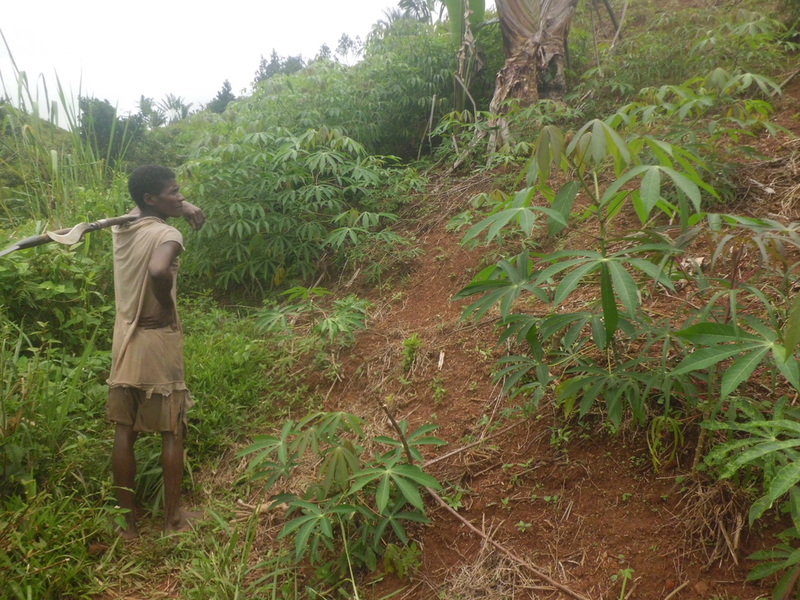 We have trained 22 Community Agroforestry Technicians to support fellow farmers by sharing seed, knowhow and training. Many communities grow rain-fed rice, corn, vegetables and beans, but lack access to seeds and need to diversify crops to improve nutritional output. Working in partnership with the Jo Walters Trust we set up a seed bank for households in 22 communities after they took part in training on land-use management and farming techniques. We have developed yam production (Dioscorea alata) to promote food security. This has been combined with trials of the domestication of wild yams at the household level.